Rasmeah Odeh, convicted of a deadly bombing in Israel, was deported from the United States because she concealed her criminal record. In a travel column about California love, social justice and community, The New York Times also conceals Odeh's conviction, calling her a "controversial Palestinian activist." Why does the State Department list Iran as a sponsor of terrorism? Simply because of "its support of anti-Israel groups," as if backing for Students for Justice in Palestine is enough to get Iran on the list? Hardly. CAMERA prompts an AP correction: Iran supports "Hezbollah and other Shia militia groups, including in Iraq, Syria and Bahrain." 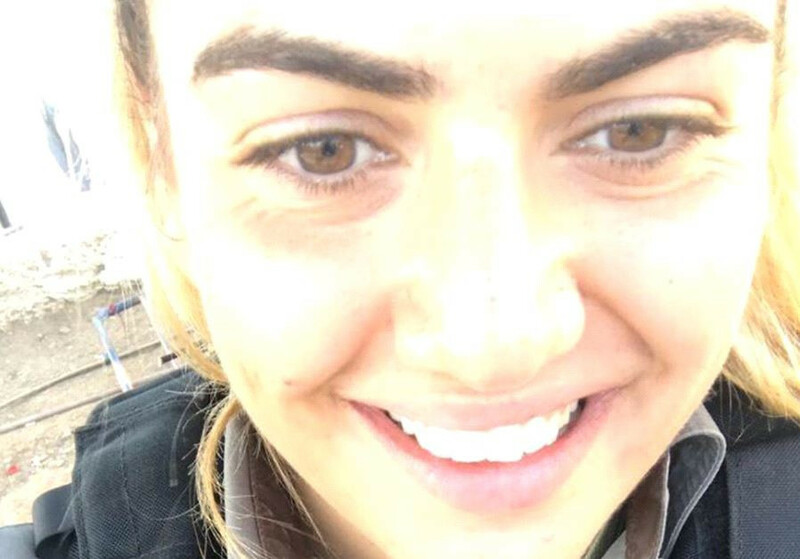 Young Israeli policewoman Hadas Malka was murdered by Palestinian terrorists, who were then slain by responding Israeli forces. The BBC headline reads, "Three Palestinians killed after deadly stabbing." After CAMERA contacted USA Today editors about a story which wrongfully claimed a ‘lull’ in Palestinian terror attacks, the paper issued a correction and the reporter thanked CAMERA. CAMERA prompts corrections of mistranslations in a New York Times video which excised the praise of Um Kamel Tarayreh, for her son Mohammed, the "martyr" and "hero" who murdered 13-year-old Hallel Yaffa Ariel in her bed. Updated. Ihab Maswadeh fatally stabbed Genadi Kaufman, a gardener, in Hebron. Kaufman succumbed to his wounds three weeks later. So why does Reuters call the attack an "attempted" stabbing of a "soldier"? CAMERA prompts correction of a Haaretz headline which wrongly stated that an American court overruled the conviction of Palestinian Rasmieh Odeh in an immigration fraud case. The court vacated, or voided, the conviction. Politico has yet to correct.